Uniquely-formed remnants of ancient basalt volcanic dikes sticking out from the sea. 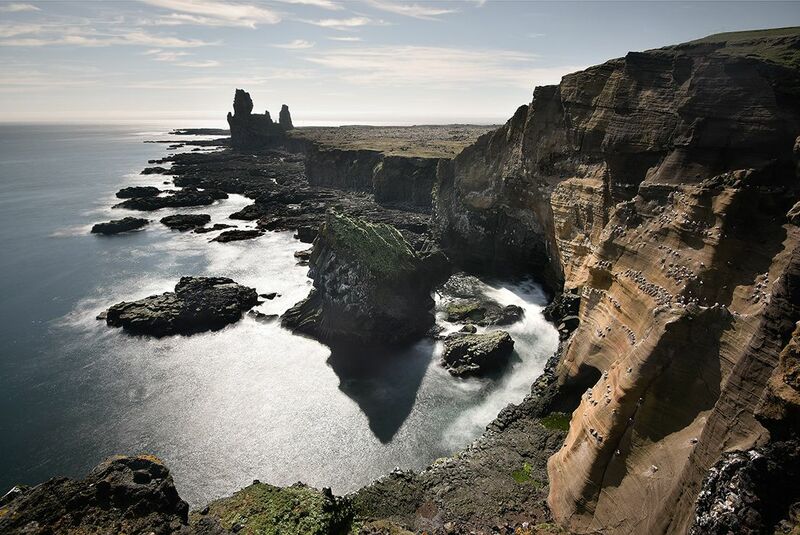 Londrangar and the hill Svalthufa are the remains of a crater, which has been eroded to its present form by the sea. The farmers in the area never made or make hay on the hill, because it is said to belong to the elves living in the area. Younger lava fields surround this old crater ruin. tom (Homepage) wrote: Wonderful composition, creating good depth.